Henna parties for brides are common in many Muslim cultures. In Morocco, this is no exception. 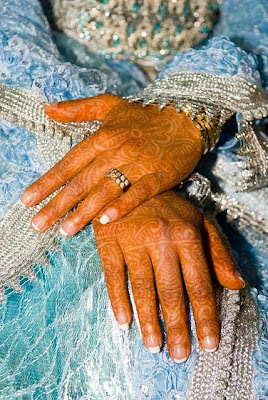 In Morocco, the bridal henna party, called the Beberiska ceremony, takes place the day before the wedding. The bridal henna party is typically held for the women of the family, relatives and female friends of the bride. At the henna party, henna artists paint the hands and feet of the bride and her party with henna. Leaves of the henna plant are crushed into a powder, which, when mixed with water, becomes a paste that will stain a person's skin orange for about two to three weeks if left on for two hours or more. Henna is known as mehndi in India. 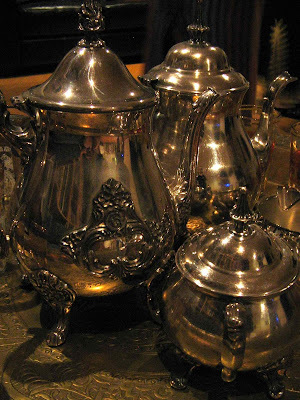 This practice dates back to at least 2000 B.C.E., and its use in ceremonies can be found from South Asia to North Africa. In India and other countries, henna is arranged in intricate lacy or floral patterns on the hands or feet, which can mean good health, fertility, wisdom, protection or spiritual enlightenment. In the Moroccan wedding tradition, the bride’s hands and feet are painted with intricate designs, which are usually floral and geometrical designs that are meant to ward off evil spirits, bring good luck and increase fertility. The groom's name is often hidden in the henna designs. The bride has to leave the henna on her hands for several hours. So her female relatives will feed her food and give her drinks, and assist her with any of her needs, while the bride waits for the wet henna to dry and darken. 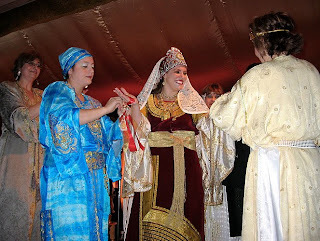 The bride is also entertained with music and merriment by her female guests. Delicious food is served to the guests. 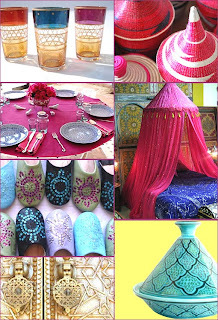 Here are some ideas on having a terrific, fun-filled Moroccan bridal henna party. 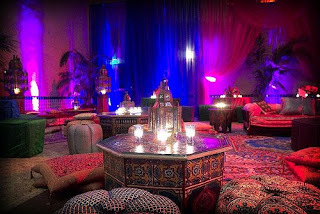 If you are not Moroccan, but would like to plan for a a Moroccan bridal henna party, these tips can be helpful. I will visit your site. Thanks.